This year, we’re attending and sponsoring LibrePlanet, which is being held this week-end in Boston. Todd and I arrived one day early, as we wanted to seize the opportunity to spend a full day coworking to align our plans (regarding communications, product design and supply chain management), confirm product specifications, and test some new prototypes we have on hand. Todd recently (yesterday!) 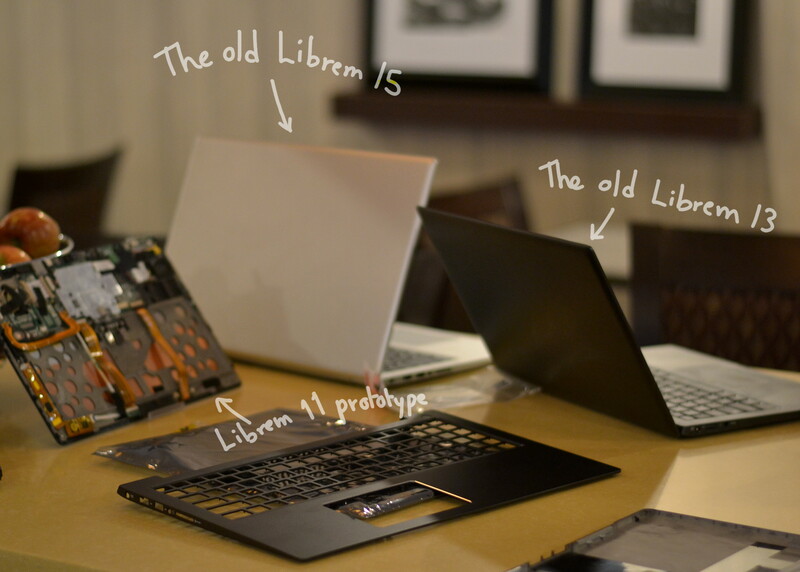 received sample parts and prototype units from suppliers, so we spent some time checking the aesthetic and functional aspect of the next revision of the Librem 13 (v2) and Librem 15 (v3), including the chips, killswitches, and removable components. I also brought with me some older units I had gathered from others, including the Librem 11 prototype (which we bricked during testing) and the previous revision of the Librem 15. Oh, “But what is that mysterious black plate in the center of the table”, you ask? Well, that’s one of the sample parts our suppliers sent us: the upper aluminium plate of the upcoming Librem 15 v3, which will be anodized black like our lovely Librem 13. 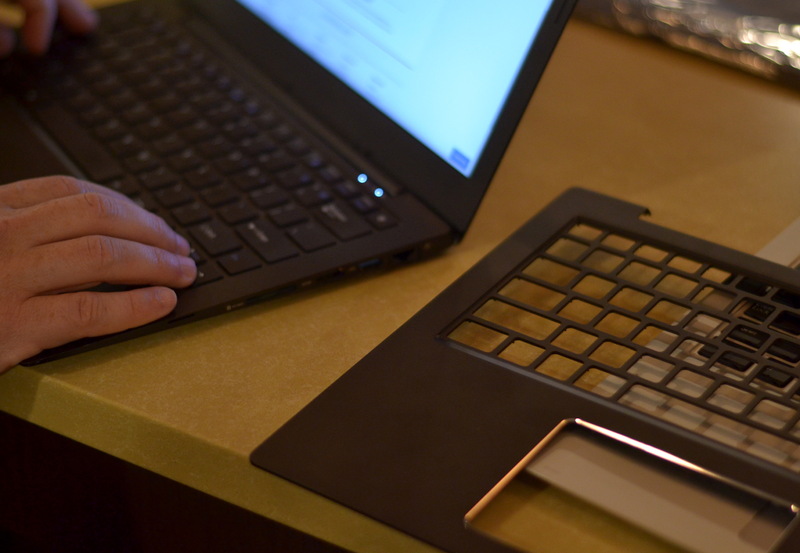 Here you can see Todd’s Librem 13 on the left (which looks brand new even after 2 years of intensive use) and the Librem 15 v3’s anodized aluminium extrusion sample on the right (resting on top of the old Librem 15 production model for comparison). We’re still finalizing details when it comes to the final specs, but from the looks of it, those with outstanding orders may benefit from a free upgrade to a newer generation of CPU and graphic chipsets, in addition to the black aluminium chassis. Today we have placed a batch order through our supply chain for the Librem 15 v3, so we hope to provide you with an update on specifications and estimates soon. In the meantime, if any of you are attending LibrePlanet, we look forward to meeting you this week-end!